If you are looking for a career that combines financial and math skills with a helping profession, a career in financial planning may be something to consider. A personal financial planner works with individuals "one-on-one" to plan their financial strategies, with the goal being to maximize financial gain over the long term. Get a Bachelor’s degree in Finance, Business, or Accounting. They may work with reducing debt and increasing income, investments, and other financial concerns of the individual. They work at combining all of the financial resources they know to help the person reach specific short-term and long-term goals. They tend to work more with individuals than businesses, though some businesses may hire a financial planner as well. A personal financial planner should be someone who is highly organized and skilled in math and accounting, and has the desire to help individuals plan a clear path to financial security over the long term. They work with budgets, college planning, estate planning, insurance, taxes, and overall investment programs, and should be well-versed in many options to help the individual grow their estate wealth and make sound financial decisions. They are also like a "counselor" who the individual consults with as needed to help them make adjustments or changes to their financial plan. 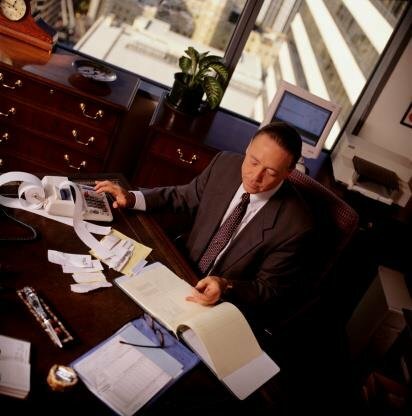 The typical education would include a degree in Finance or Business, coupled with the CFP certificate (Certified Financial Planner), This certification is backed by the national agency, "The Certified Financial Planner Board of Standards" and is accepted nationwide as the governing agency for financial planning. Technically, a financial planner does not have to have the CFP certificate. According to the Wall Street Journal (2013), anyone can hang a shingle and announce that they are open for business as a financial planner. But this does not mean that they are an expert, or have the credentials which certify them to help someone make sound financial judgments. It is always best to get the required credentials and proper education and certifications, so that you will gain immediate respect as a professional in your field. 1) Get a Bachelor’s degree in Finance, Business, or Accounting. A related field would probably work as well, so long as the education focuses on financial skills and investing. You will be advising people on their short term and long term financial decisions, so you should understand the economics of money and how to make it work for someone over the long term, and help them keep careful records of their progress. 2) Work in an accounting related position or other related job. Experience in a bank, an investment firm, or any business in which financial planning skills are used is a good background for this career. It is especially beneficial to get experience in budgeting and estate planning, since this is related to what you will be doing as a financial planner. 3) Get the appropriate licensing. If you want to be in business for yourself, or if you will be handling investments, you need to have the appropriate licenses and certificates. In general, you will need the CFA certification backed by the CFP board, so that you will have the ability to deal with issues regarding the Securities and Exchange Commission and other regulatory bodies. 4) Continue your education. It is advisable to continue your education past the Bachelor’s degree level to excel in this career. A Master’s in Business or related field is a great asset to add for advanced and additional career opportunities. 5) Work on interpersonal skills and establishing trustworthiness. The personal financial planner not only deals with a person’s financial plans, but also must have a good rapport and sense of trust with their clients. They work with their clients closely toward a common goal (financial security) so courses in psychology and public relations, as well as a natural interpersonal ability with people will help you to succeed in this career. If you love to help people, and enjoy helping them form a solid plan for their financial future, a career as a personal financial planner may be for you. You need to be highly skilled in finance and business, understand investments, the current economy, and more. But you can learn all of this by enrolling in a good online school to begin your journey. Then, little by little, you will gain the skills needed to begin this interesting and rewarding career as a personal financial planner! Best of luck to you in your new and exciting career!